through her work today on television, in film and in the literary world. Outstanding Talk Show, after garnering a record twelve nominations. year-old Internet singing sensation, Greyson Chance. four unique covers and was one of the best selling issues in the magazine’s history. season. The judging panel included, Simon Cowell, Randy Jackson and Kara DioGuardi. Most recently, DeGeneres became the face and spokesperson for vitaminwater zero. The on-going national print and commercial campaign launched in February 2010. Foundation with a new print and commercial campaign in December 2009.
and DJ Nick Cannon. The highly reviewed special aired on TBS. perfect balance of wit with heartfelt emotion to the post-September 11th telecast audience. Back" special that raised money for children in extreme poverty in America and Africa. Annual Grammy Awards, for which she earned an Emmy® nomination. Goal: to work with animals” which won a Primetime Emmy® Award. crossed the country on a 35-city stand-up comedy tour, entitled the “Here and Now” tour. published in 1995, debuted at No. 1 on the New York Times bestseller list. Stand-Up” at the 1991 American Comedy Awards. which ran from 2001 to 2002.
which she received another Emmy® nomination. DeGeneres’ feature film credits includes “EDTV” for director Ron Howard, “Mr. 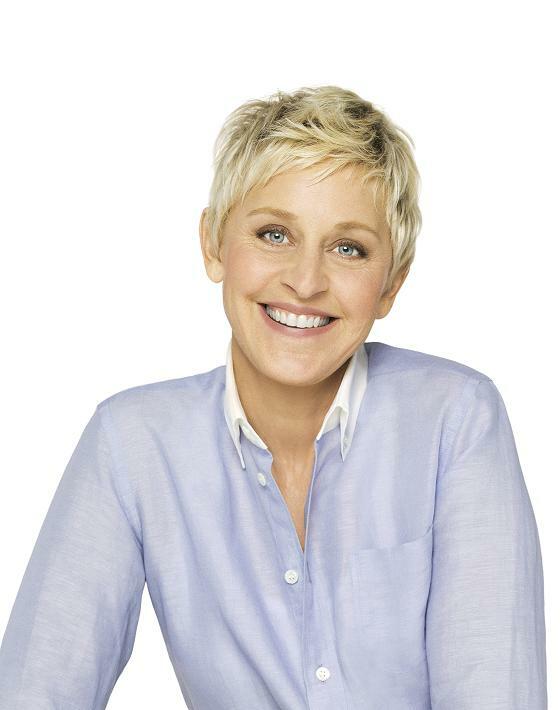 Both on and off screen, DeGeneres’ humanitarian efforts take center stage. dollars and brought attention to various causes, including global warming and animals. hosted special episodes of her show to mark Breast Cancer Awareness Month. Film, as well as an Amnesty International Award.